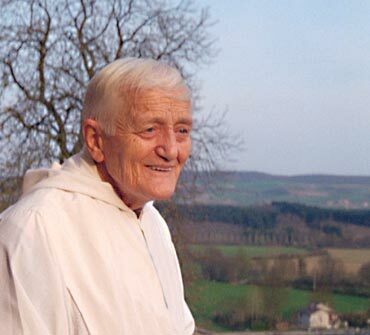 Brother Alois, Brother Roger’s successor, wrote the following text as an introduction to the book Choose to Love (Presses de Taizé, 2006), published by the Taizé Community as an expression of its gratitude for the given life of its founder. Brother Roger’s departure leaves a great emptiness. We were deeply shaken by his tragic death. But at the same time, in the Community we lived through the period that followed with a profound thankfulness for all that he left us. These pages are an expression of this. This thankfulness was shared by a whole multitude of people across the world, and this upheld us. It was as though we were being carried by God. And, in this trial, our little community experienced the unity that the first Christians had known: being of one heart and one soul. For Brother Roger, the search for reconciliation among Christians was not a topic for reflection: it was something evident to be done. For him, what was important above all was to live out the Gospel and communicate it to others. And the Gospel can be lived out only together. To be separated has no sense. The heritage he left is enormous. And above all, this heritage is alive. Brother Roger certainly left us his writings; but for him, these writings had to be adapted constantly to new situations. Even the Rule of the Community, which will remain the basic text for our common life, was rewritten several times. It was as though he wanted to teach us not to be attached to the letter or to structures, but to surrender ourselves to the breath of the Holy Spirit. Through his Spirit, God is present to every human being. Brother Roger had a place in his heart for all human beings, of every nation, and in particular for young people and children. He had a passion for communion. He often repeated the following words: “Christ did not come to earth to create a new religion, but to offer to every human being a communion in God.” This unique communion, which is the Church, is there for everyone, without exception. One of his constant concerns was to make this communion accessible to young people, and to lift the obstacles from their path. He was keenly aware that one of the greatest obstacles was seeing God as a severe judge who instils fear. An intuition grew progressively clearer within him, and he did everything he could in order to transmit it by his own life: God can do nothing other than to love. The Orthodox theologian Olivier Clément reminded us recently that this insistence by Brother Roger on God’s love marked the end of a period in which, in the various Christian denominations, God was feared as someone who punishes. In his youth, Brother Roger had known Christians who felt that the Gospel imposed harsh burdens on believers; and because of this attitude, there was a period when faith was difficult for him and doubts arose. Throughout his life, it remained a real struggle for him to trust in God. And in this struggle lies the origin of his openness to the young generations and his desire to listen to them. He himself said that he wished to “seek to understand everything in another person”. Many young people had the image of him as a man who was always ready to listen to them every evening after the prayer in the church, for hours if necessary. And when he became too frail and tired to listen to everyone, he still continued to stay in the church in the evenings, giving a simple blessing to those who came to him by placing his hand on their foreheads. Right up to the end, and with exceptional energy and courage, he led us on the way of openness to others. No distress, physical or spiritual, was so fearful that he turned away from it. On the contrary, he ran towards it. And more than once, he became so wrapped up in a concrete situation of suffering that he seemed to have forgotten about other things that were equally important. In this he was like the shepherd in the parable of Jesus, who forgets ninety-nine sheep in order to take care of one who is getting lost. Speaking with his sister Geneviève, who died two years after he did, one was struck by her likeness to her brother in avoiding every harsh word, every categorical judgement. This comes from further back in the family, from an exceptional mother. Of course such a trait of character has its reverse side. But what counts is that Brother Roger knew how to create with this gift. And we, his brothers, have seen that it led him at times to the very limits of what a human being can bear. It has been said of him that he had a universal heart. With a goodness that remains astonishing. Goodness of heart is not an empty word, but a force that is able to transform the world, because through it, God is at work. In the face of evil, goodness of heart is a vulnerable reality, but Brother Roger’s life given for others is a pledge that God’s peace will have the last word for everyone on our earth. He was constantly searching how to give concrete form to heartfelt compassion, especially towards the poor. He liked to quote Saint Augustine: “Love, and say it with your life.” This sometimes led him to surprising steps. On one occasion, he came back from a stay in Calcutta with a baby in his arms, a little girl that Mother Teresa had entrusted to him, in the hope that going to Europe would save her life – which turned out to be true. He also welcomed to the village of Taizé and helped to settle there two widows from Vietnam, with their large families of children, whom he had met while visiting a refugee camp in Thailand. The need to be concrete: this characteristic of his was also seen in his gift for arranging a room or a house. He did not like to construct buildings. When this was absolutely necessary, they had to be quite simple, very low, and if possible built with re-used material. But he loved transforming places. Using very little, he tried to create beauty. At a certain point a new church had to be built at Taizé, but he resisted the project for a long time, and afterwards he was continually adapting and changing the arrangements. I noticed this even in the impoverished neighbourhood of Mathare Valley in Kenya, where we stayed for a few weeks before some of the brothers came to live there for many years. In that poor shack in the midst of squalor, he found a way of adding some beauty, using almost nothing. As he used to say, we would like to do everything to make life beautiful for those around us. Brother Roger often referred to the Beatitudes, and he sometimes said about himself: Je suis un pauvre, “I am a poor man.” He called us, the brothers, not to be spiritual masters but people who listen. He referred to his ministry as prior as being a “poor servant of communion within the community”. He did not hide his vulnerability. Now, our little community feels impelled to continue along the way he opened up. It is a way of trust. For him the word “trust” was not a facile expression. It contains an appeal: to welcome very simply the love that God bears towards everyone, to root our lives in that love, and to take the risks that that implies. To lose that intuition would lead us to impose burdens on those who come seeking the living water. Faith in this love is a wholly simple reality, so simple that everyone can receive it. And this faith can move mountains. Then, even if the world is often torn apart by violence and conflict, the way we look on it can be filled with hope.